“We thus welcome the efforts of the African Union (AU) Special Envoy for Western Sahara, former President Joaquim Chissano of Mozambique and the United Nations (UN) Secretary General Personal Envoy for Western Sahara Horst Kohler, aimed at mobilising the international community to implement all the AU and UN Resolutions on Western Sahara,” she said. At the heart of the conflict, Western Sahara remains Africa’s longest-running territorial dispute and an issue of continental and international law and diplomatic controversy, having been on the decolonization agenda of the UN and AU for more than 50 years. Morocco contends that Western Sahara, a former Spanish colony, is an integral part of its kingdom, mainly driven by the expansionist ideology of the so-called “Greater Morocco”. On the other side, the Polisario Front, which is campaigning for the territory’s independence, demands a referendum on self-determination. 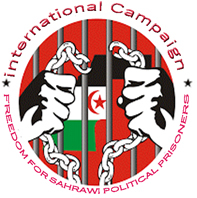 The AU has maintained over the years the inalienable right of the Saharawi people to self-determination. It has called on the UN to determine a date for the holding of the self-determination referendum for the people of Western Sahara, a view that Pretoria has been vocal about. The Minister said, meanwhile, that SADC will soon host a conference in support of Polisario and the people of Western Sahara. “We believe in their right to independence. It is their inaliable right every state has. “We regard Western Sahara as a sovereign state and in that regard, we hosted the leader of Polisario on a state visit very recently in recognition of that status. “We provide Polisario with the necessary financial assistance to conduct their administrative work and we have offered to host a SADC conference in support of Polisario. “So SADC will be supporting Polisario in full, it is a resolution that we have just taken now at the SADC conference and South Africa will be hosting that conference as a measure of that continued support of Polisario and the people of Western Sahara,” she said. Meanwhile, Sisulu said the visit by Algeria has allowed the two countries to reaffirm their historic and strategic partnership. She said that during their talks, the two countries were able to review their bilateral cooperation. “We have thus noted with satisfaction the depth and extent of our cooperation as demonstrated by the existence of 33 bilateral agreements and memoranda of understanding which cover a wide range of fields such as trade and industry, diplomacy, defence, energy, arts and culture, sports, science and technology, agriculture, education and health. “While we note the 33 bilateral agreements and memoranda of understanding, we have nonetheless emphasized the need that these agreements are fully implemented for the mutual benefit of our peoples.